I’m always looking for something new to make on my oil-less fryer. 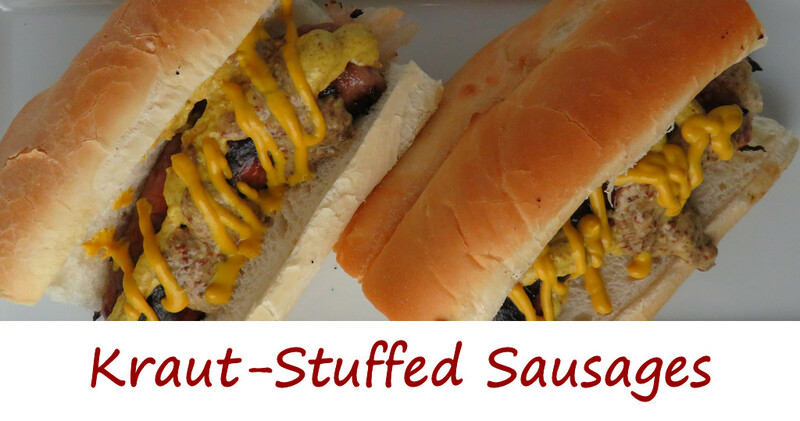 This time I roasted a few smoked sausage with sauerkraut on the Char-Broil Big Easy and made a fantastic dinner. I could’ve made this dish with fresh sausages, but I had a 3-pound pack of pre-cooked sausages on hand, so that’s what I used. You can use fresh too. Meanwhile I cooked up some kraut with onion and carrots. For the final dish I added a bit of our favorite mustards from Zatarain’s. 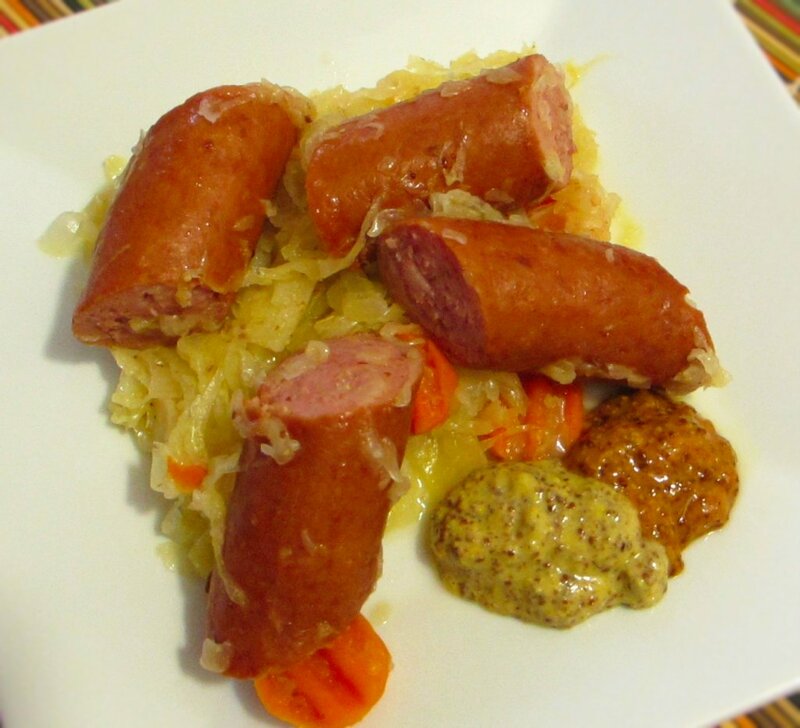 You could just as easily leave out the carrots and just serve the smoked sausage with sauerkraut on the Char-Broil Big Easy on buns topped with kraut and mustard. Yum! Don’t be afraid to roast a few red peppers on your Big Easy to add to the kraut. 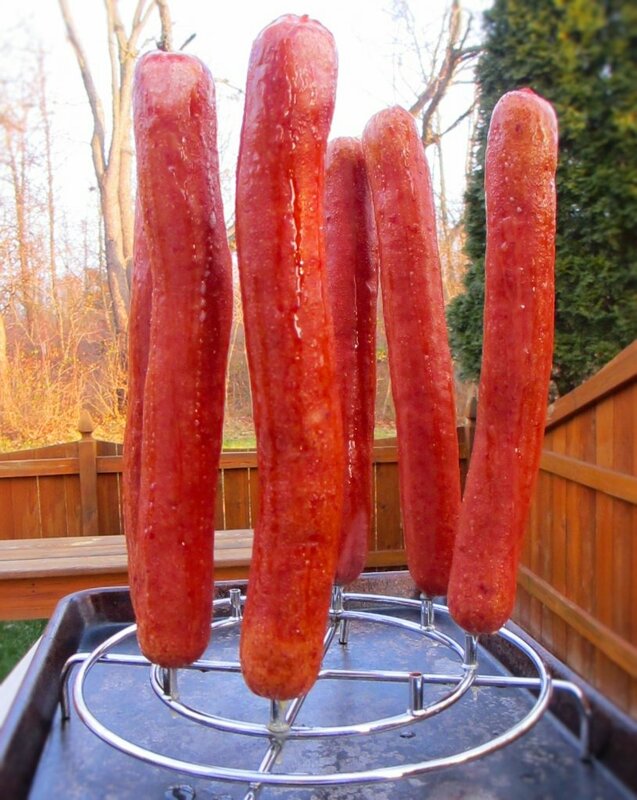 Place sausages on the Big Easy kabob holder. Lower sausages into cooker and cook until desired color is achieved, 20-30 minutes. Let cool slightly then cut as desired and use in the sauerkraut recipe below. Place kraut, onion carrots, and caraway seed in a large pan over medium heat. Cover and let simmer while the sausages cook. Add cooked sausages and continue to simmer for a total of 1 1/2 hours. Remove and serve with mustard for dipping if desired.